This past weekend I went to a fun junking market. It was a beautiful place full of antiques, handmade goods, & re-purposed items. My major score was found within the first two minutes I was there. I walked into the very first booth & a beam of golden light from heaven was illuminating this gorgeous cast iron pan. It was big, it was already seasoned, & it was only thirty-five dollars. I ran to it & snatched it up, & held it tight, & firmly told the other customer who tried to grab it off the counter as I was purchasing it "I'm buying that." & the mom was happy. I've needed a very large skillet since we've moved from the ranch & I had to leave the one that belongs to my parents. 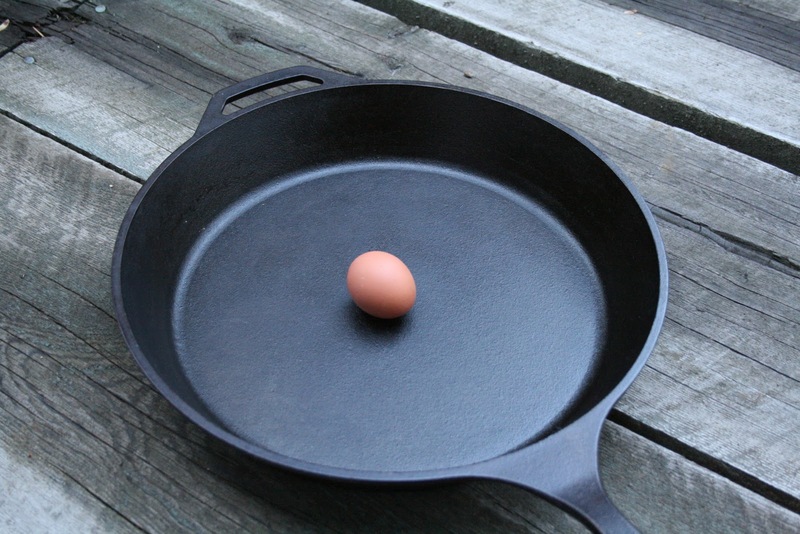 I have a great set of red Paula Deen pots & pans, so I was just going to but the large skillet that matches. But this, this is beyond my wildest imagination! 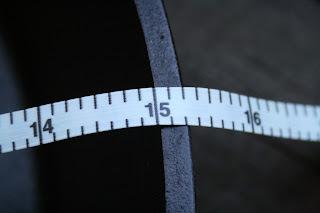 Just look, it's fifteen inches across. 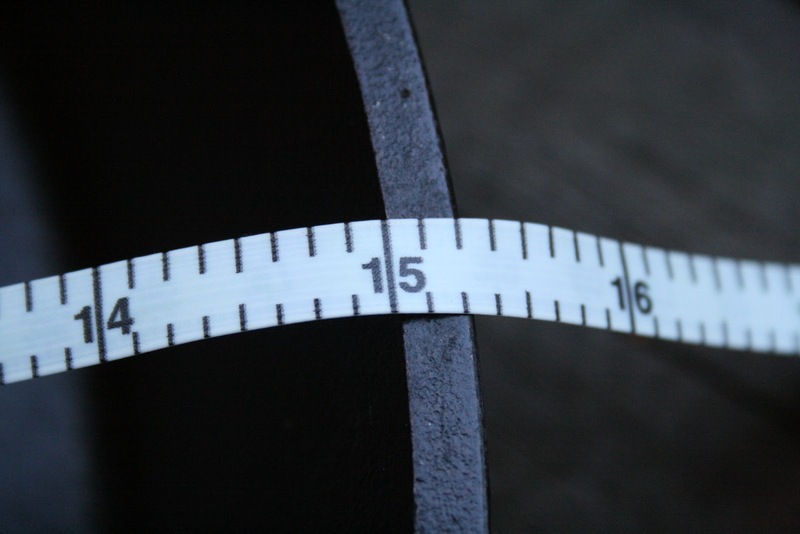 It's hard to picture fifteen inches in your head, so here's an egg for scale. And a banana. See how big this sucker is! Imagine how many chicken fried steaks I could cook at once... or biscuits... or bacon! 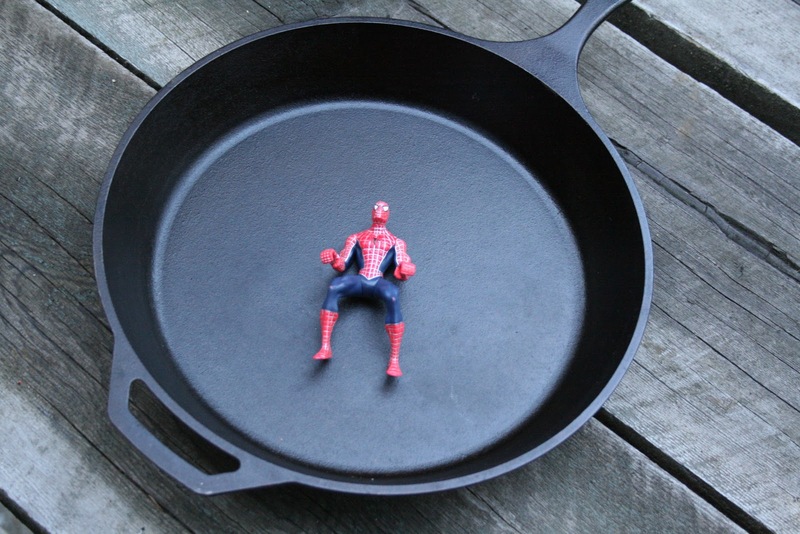 I'm not totally sure you understand the capacity of this pan, so I put Spider Man in to help you. 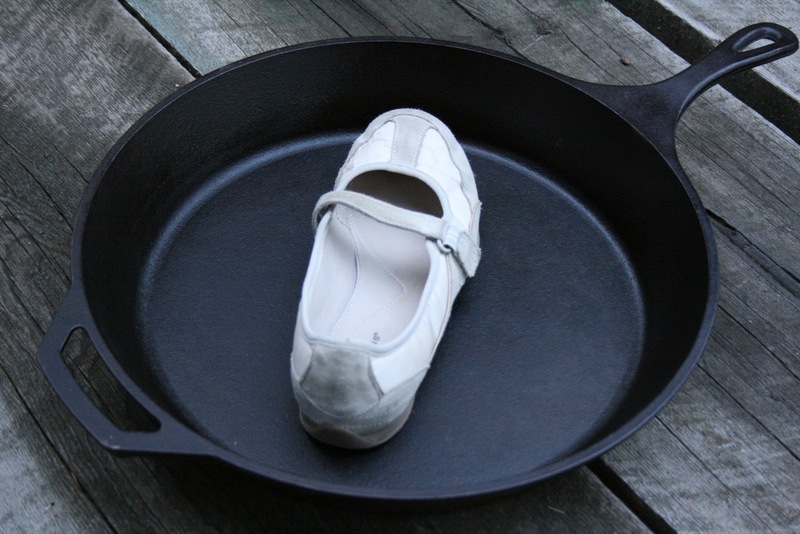 Here's my shoe, with room to spare... see what I mean?! 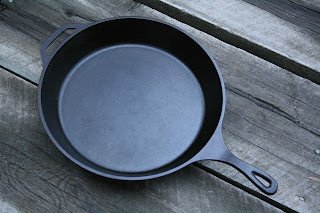 Now I need to go wash my precious pan... without soap- never was cast iron with soap, takes the non-stick coating off... & it takes years of cooking to make that coating. love it!!! now would you please fry me up somethin yummy? You betcha! I just bought a big jug of canola oil from Costco. What should we fry first?! I LOVE your comparisons!!! I'm still laughing at everything you put in that pan! The shoe might even be good fried!! !-j Can I come over when carla does??? 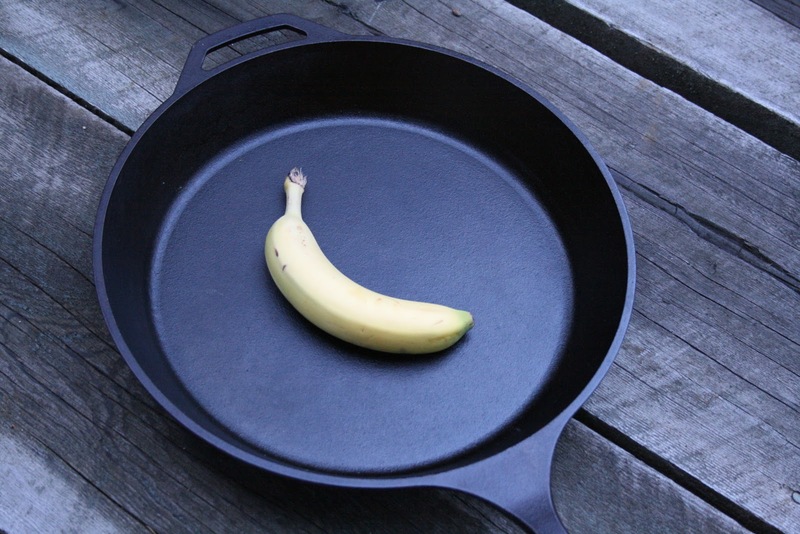 I can appreciate your appreciation for the enormity of the pan. I love a good pot or pan myself. As you know.